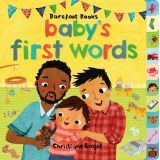 Brief text relates the daily activities of a city baby with two daddies by featuring terms for objects, actions, and sounds. 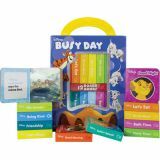 On die-cut board pages with tabs. 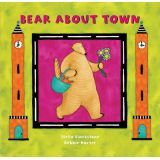 Share the adventure of a big, friendly bear as he roams around town looking for things to do. A town map on the final spread helps the reader locate the places visited by the bear. 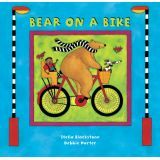 Share the adventure of a big, friendly bear as he roams through all sorts of crazy settings, discovering different shapes along the way. 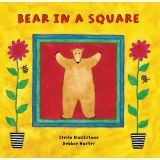 'Bear in a Square' is designed to offer young children practice in shape recognition. 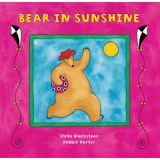 Bear introduces various types of weather in this board book. 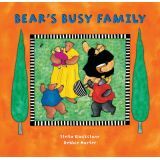 Young readers are invited to anticipate Bear's fun activities according to each new day. 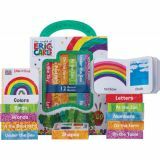 The simple text promotes early language development. 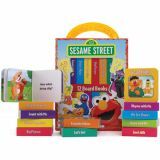 Bright, colorful and educational, these chunky board books introduce preschoolers to concepts that will stay with them for life. 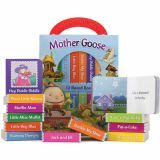 And with sturdy pages and a high-gloss finish, the books will last almost as long -- even in the most inquisitive hands! 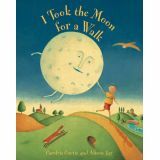 When the day has ended and everyone else has fallen asleep, a young boy embarks on an adventure with his friend, the Moon. Their unusual journey is described in lyrical verse, creating a magical story that celebrates the serene beauty of the world at night. 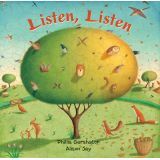 Listen carefully to all the wonderful sounds of the different seasons, from summer's sizzling sun to winter's crunching snow. Try making up some sounds of your own, too.